A Rose is a Rose is a Rose: an archive by any other name is an archive. The Mission Statement implies an encouragement to leave work with EM, and in fact, I believe as artist/producers, we were required to leave a copy of each work produced there. And we all know why: grant applications require proof that the facility is fulfilling its funded mandate. Reading through the extended statement from December 1, I say bravo to EM in its plans for the new space and long-time-coming plans for … a full-time media arts gallery space to operate in conjunction with the screening space, as well as production, and editing facilities. … Bravo – yes, but when those contemporary and future works also become last year’s models, will their legacy become next year’s dumpster pickings? As Artists, we work to exhibit and share our works. As the career progresses over time, there are many challenges to face, especially in the area of keeping that art career unfolding, evolving and floating. I have often thought of recognition and achievements as drops in a bucket. (Not to be confused with popular culture bucket list) And when a drop lands there; an exhibition, an article written about the work, or simply the achievement of bringing a work to completion, I move ahead thinking that – if there is no evaporation, there will be a few drops amounting toward the evidence of passage, of professional progress. 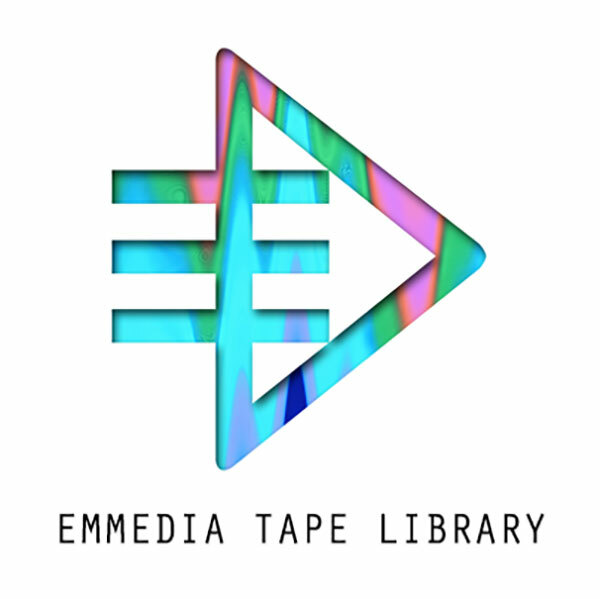 So getting the news that EMMEDIA is dissolving the tape library and works will end up in the alley out back of the 11Ave and 4th Street SW location cuts deep. Whether working or studying in Calgary, in Chicago, freelancing in Montréal or Halifax, and places in-between, EMMEDIA has stood out for me like a beacon of progress on the prairie since the early 1980’s. When I read the November 30 notification on Facebook, I immediately thought of the people who worked to set it up, the other moving pains that the organization survived, and the producers who are now there in the cultural memory only. I also thought of other artist/producers like myself who stay in touch and can be easily contacted through email. Here is a question: If the decision to dissolve the collection was not made in haste, and only decided after many years of consultation with various organizations, institutions and members, why were artist/producers only notified last week? Or am I the only one out here who just happened to find this on Facebook? Would it have been useful to open up the discussion for input? In 1979, several artists banded together to purchase a broadcast camera, and from that, EMMEDIA was born. The co-op mentality of these individuals carried over to many policies regarding member works that are still in place today. One of these is that EMMEDIA does not retain any rights to member works. Following our initial post regarding the status of the resource library, folks were quick to point out that the collection should be donated to an archival body. Indeed, this has been something that EMMEDIA staff, both past and present over many years have worked towards, however since our organization does not retain any rights to member works, we require explicit permission from every artist in the library in order to donate the collection en masse. This would be possible to arrange. Some kind of webform with multiple-choice options – permitting viewing by Curators, without expected compensation – or not permitting viewing could be set up. The fact is that an archive exists at EMMEDIA and that archive is part of its fabric and culture. If, in the new location, there is no accessible space to research the records, then maybe EM could invest in a pallet to shrink wrap the media and to store it in a cool dry space. Leave it together as a time capsule to be opened at a later date. Although there have been studies and statements about the viability of media stored under less than ideal conditions, it has been my experience to open up older media, even analogue tapes after several years, and to find them in excellent condition. There is always a question of the playback unit being available but they do exist if sought out. Stranger than fiction is the fascination with film media in contrast to the trash-and-burn policy shown to video culture. Perpetual questions surrounding archives: What work will be saved, who will do the archiving, and who decides which works make it into that archive? Thanks for this. I just happened upon this blog after trying to find some kind of historical listing for the work produced at EM. Like you, I heard about them throwing away the archives at the zero hour. It was and is heart breaking.